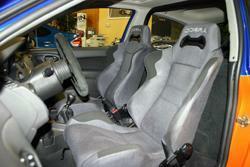 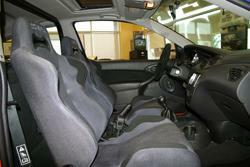 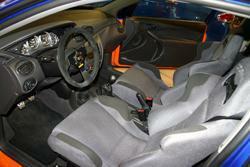 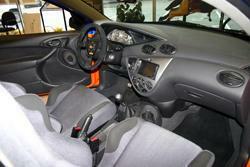 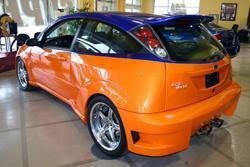 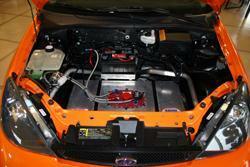 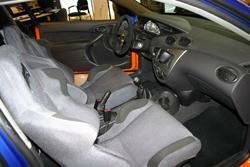 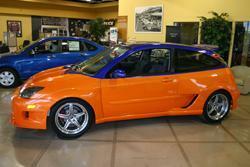 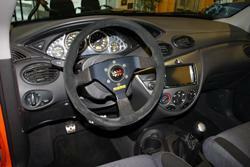 Get noticed in this amazing customized Focus ZX3 with only 92 original kilometers! 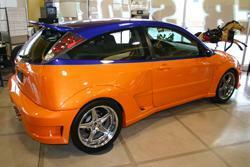 This vehicle has undergone a complete and professional mechanical and body modification. 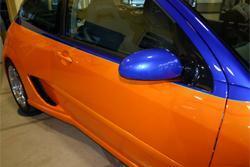 The Tangellow Orange Pearl and Magic Blue Pearl House of Colour 2-tone paint job is divided by Lime Green pin stripe, and features Sunset Orange Pearl and Sunrise Orange Pearl flames on the hood and doors. 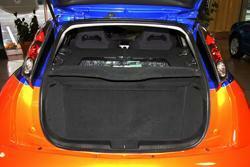 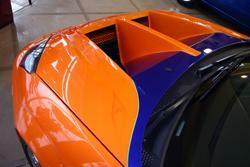 The front and back fenders, bumpers, and rocker panel moldings are all custom made of carbon fiber. 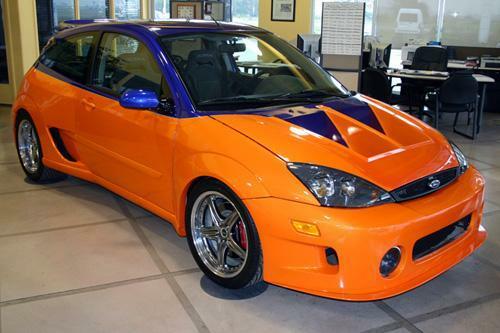 The steel hood was custom built with the same styling as the famous Ford GT40 racecars to give this Focus a one-of-a-kind look. 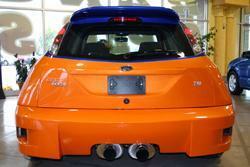 The rear mounted 3 litre SHO 300 horsepower V6 engine with 5-speed transmission is sure to impress both driver and spectators. 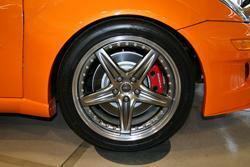 Multimatic custom adjustable coil over front and rear suspension and sway bars. 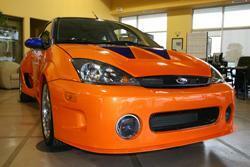 This show stopping vehicle is a one-of-a-kind collectable, and is valued at more than $75,000.00. 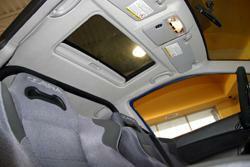 Please contact us at 1-866-413-0679 or 1-705-328-3673 for more information.